The Los Angeles City Planning Commission today took a step towards making Los Angeles a truly bicycle friendly city. 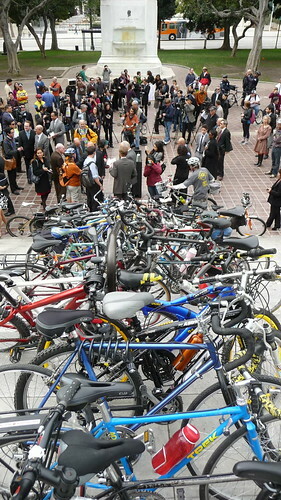 In a unanimous vote, the Commission adopted a Bicycle Parking Ordinance that would vastly expand the number of new bike parking spaces required in new developments of all kinds throughout Los Angeles. 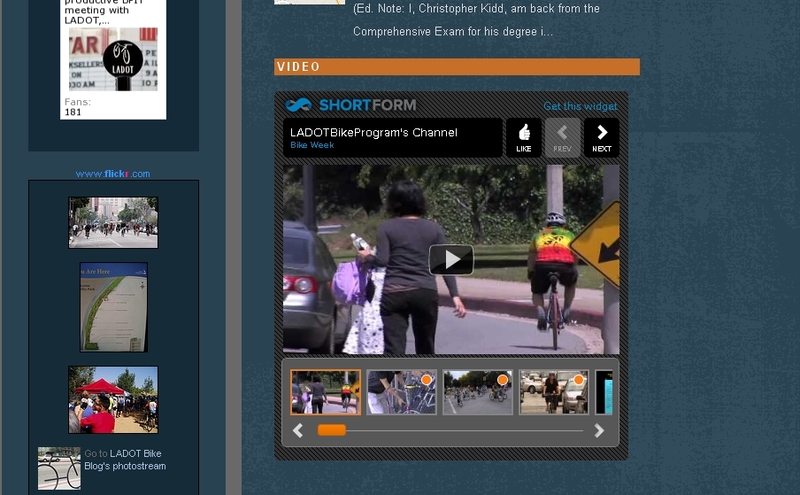 You can follow the blow-by-blows of the hearing at the twitter feed BikeBlogChris, or the hashtags #bikeLA and #lamtg. You can download a copy of the pdf here. Over 15 dedicated bicyclists and advocates showed up in City Hall Room 350 today to support the ordinance. Kudos are due to Rye Baerg, the driving force behind the ordinance in the City Planning Department, and all the dedicated members of the public who have helped the ordinance reach where it is today. The next step for the Bicycle Parking Ordinance is a hearing before the PLUM (Planning & Land Use Management) Committee. Once through PLUM, the ordinance goes to a full hearing before the City Council before becoming part of the City’s municipal code. When the ordinance is agendized from the PLUM Committee, we’ll be sure to let you know. It’s finally here. After years of work by City staff and dedicated members of the public, it’s here. After months of council hearings and refining of legal language, it’s here. 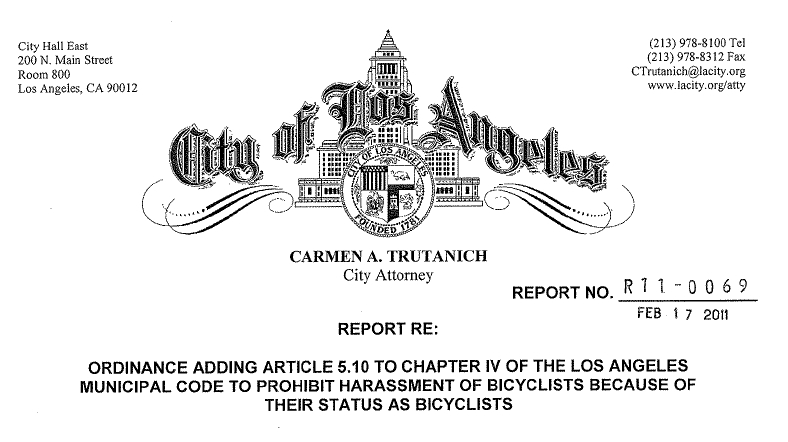 Just over a week from today, the City of Los Angeles has the opportunity to enact a truly groundbreaking ordinance for protecting Bicyclists’ rights and safety. A vote on the Bicyclist Anti-Harassment Ordinance is scheduled for the Los Angeles City Council on Wednesday, July 20th. You can read the latest draft of the ordinance here. We’ll be attending the meeting next week, and will be live-tweeting the proceedings from @BikeBlogChris. The most recent meeting of the Bike Plan Implementation Team (BPIT) assembled this past Tuesday at City Hall Room 721 to discuss a wide range of topics centered around a single goal: making Los Angeles a better place to ride a bike. This BPIT meeting, while less contentious than in months past, accomplished a great deal and took the first steps on many projects that will end in miles of bike lanes, miles of bicycle boulevards, and safer bicyclists. The meeting was dutifully tweeted by BikeBlogChris (Christopher Kidd), flyingpigeonla (Joseph Bray-Ali), and cyclotropic (Max Berson). You can track the play-by-play with the #BPIT Twitter hashtag. For an alternate take on the meeting, Rick Risemberg (of BicycleFixation fame) has his notes from the meeting up at FlyingPigeonLA. Below the fold, we’ll go through the details of this month’s meeting. 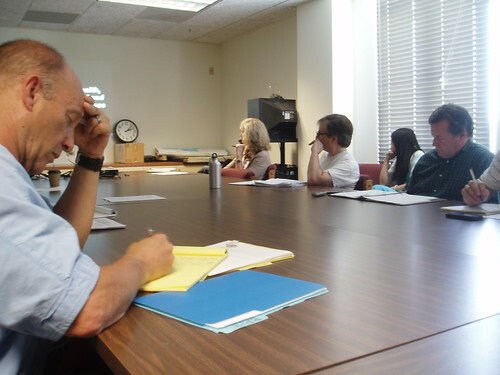 Presentations by Pat Hines of Safe Moves, updates on newly finished bike lanes by Paul Meshkin, a presentation on priority bike lane projects in central LA & NELA, and discussions about prioritizing Bicycle Friendly Streets were all covered. Remember, the BPIT sets the agenda for implementing the 2010 LA Bike Plan. If you think something is missing from the meetings, make yourself heard. There was much hoopla last week over the adoption LA’s ambitious and visionary bike plan. 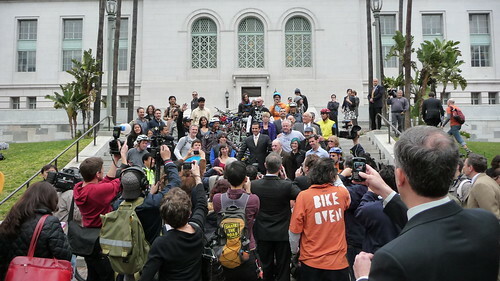 Now it’s time to take that momentum and use it towards getting work done today for the benefit of all LA’s bicyclists. Two events this week should be of especial interest to the bicycle community: The BAC Planning Subcommittee meets Tuesday afternoon and the City Council Transportation Committee meets Wednesday to discuss the bicyclist Anti-Harassment Ordinance.